Everyone is looking for a bargain when it comes to automotive-related expenses. But when it comes to insuring our cars, crossovers, SUVs, pickups and minivans, many consumers are less informed than they should be about which vehicles are actually the most economical to insure. Insure.com helps take the guesswork out of the equation by publishing an annual list of the most- and least-expensive models. 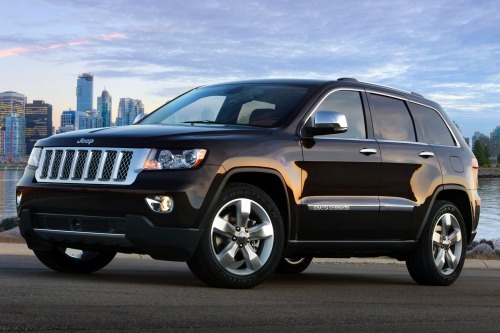 Although the full list totals 20 vehicles, here we’ll highlight the top 5 least expensive 2013 vehicles to insure. Is yours on the list or one that you’re considering? Check it out. 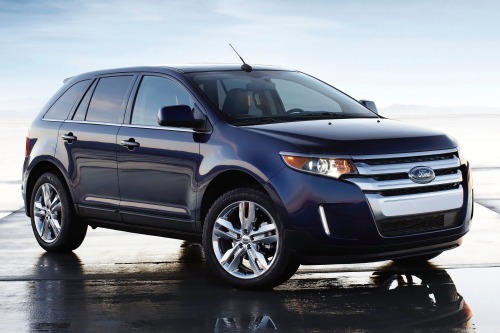 2013 Ford Edge SE – A smooth ride, great fuel economy, good-looking exterior and nicely-done interior are all highlights of the 2013 Ford Edge SE midsize SUV. As Kelley Blue Book notes: “The least-powerful but most fuel-efficient engine, the turbocharged 4-cylinder that also does duty in the Ford Escape and even in the big Explorer, is a good fit here, never feeling overwhelmed in trying to move the squat vehicle.” Consumers have to like the low estimated $1,128 cost to insure the Edge as well – that is, if they have a good driver rating. 2013 Jeep Grand Cherokee Laredo – Edmunds hails the 2013 Jeep Grand Cherokee midsize SUV this way: “On road refinement, a well-trimmed cabin and traditional off-road ability make the 2013 Jeep Grand Cherokee fully competitive with other midsize SUVs and crossovers.” The base Laredo model is powered by a 3.6-liter V6 engine. Cost to insure annually (for good drivers) runs around $1,148. 2013 Subaru Outback 2.5i Premium – Ranked as one of the best wagons in the class, the 2013 Subaru Outback 2.5i Premium offers consumers the drivability of a car and the utility of an SUV – with standard all-wheel drive. 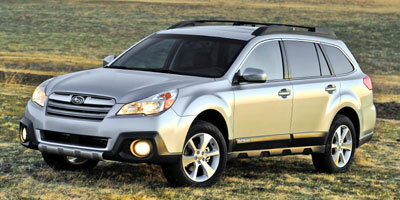 The Outback also has a strong safety record, which appeals to many family buyers. With the third least-expensive annual cost to insure of $1,150, the 2013 Subaru Outback makes a strong case for a reasonably-priced family vehicle. 2013 Kia Sportage – The five-passenger 2013 Kia Sportage compact SUV, which shares some of its basic design with the Hyundai Tucson, gets high marks for “a host of standard features, an impressive list of luxury options, and the bonus of Kia’s strong warranty,” says a review in Consumer Guide. 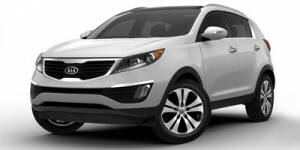 In base four-cylinder version, the Sportage is an excellent buy for auto insurance as well, provided the customer is a good driver. Those with good driving records can expect to pay around $1,157 annually to insure the 2013 Kia Sportage. 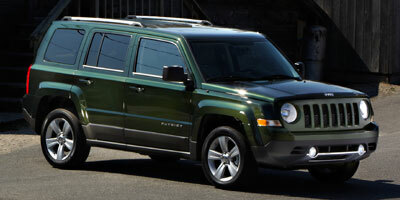 2013 Jeep Patriot Sport – With its low base price, the 2013 Jeep Patriot Sport is a competent compact SUV that may appeal to many buyers looking for affordable utility. Reviewers say the engine provides adequate power, although it may seem sluggish at times. The interior is unrefined, the back seat is small, and there are few standard features. Kelley Blue Book comments: “Highway ride and handling are okay, as long as you don’t compare the Patriot to a more refined small SUV—of which there are plenty.” But insurance cost is a plus, coming in at approximately $1,160 per year for the good driver. Looking over this list of the top 5 least expensive 2013 vehicles to insure, you might be wondering where the perennial low-cost minivans are? The 2013 Dodge Grand Caravan SXT comes in at number 11 on the Insure.com list, with an annual insurance premium of $1,206. The 2013 Honda Odyssey EX-L (number 14), meanwhile, carries an estimated yearly $1,217 insurance premium.